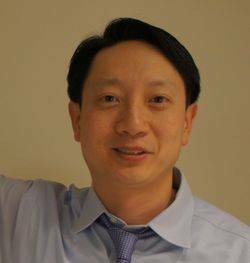 Dr. Ivan Wong has built a large and loyal following of patients from Fairfield and Litchfield County, Connecticut, and Dutchess, Putnam, and Upper Westchester County, New York. He prides himself on providing thorough and personalized eye care focusing on the individual needs of every patient. He started his practice with LensCrafters in Danbury, CT in 2000 utilizing state of the art technology to ensure advanced comprehensive eye care and recently decided to open a second office in Stamford. Dr. Wong works closely with an extensive network of eye specialists in the area to provide the best outcomes for patients whenever necessary. Along with receiving a bachelor of science with honors from the University of Toronto, Dr. Wong completed a specialist degree in pharmacology. He received his doctor of optometry from the New England College of Optometry in 1998 graduating Beta Sigma Kappa (honor society). Being an active member of the profession and community, Dr. Wong has volunteered his services providing thousands of eye examinations for the Lions Club, Delancey Street Foundation and Gift of Sight program, as well as participating in a Mission to Merida, Mexico sponsored through the Red Cross. He has lectured about eye health and wellness at Boehringer Ingelheim and has provided laser safety evaluations for the employees of Goodrich Corporation who work with class IIIa, b and IV lasers. 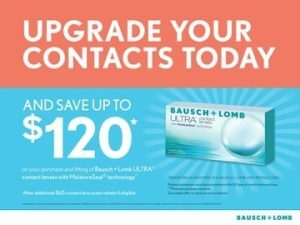 Dr. Wong participated in clinical trials for the CIBA Focus Night & Day contact lenses and has received an award from Bausch and Lomb for fitting and evaluating their Soflens 66 Toric contact lens for astigmatism. He has been certified for the treatment and management of ocular disease, infection, foreign body removal, glaucoma, diabetes, macular degeneration, dry eye, Lasik co-management with TLC, and has been recently certified by Paragon CRT in orthokeratology, an exciting new therapy to reduce the need of glasses through corneal reshaping with specially designed contact lenses. When not at work Dr. Wong spends quality time with his wife and three children and enjoys being a “Hockey Dad”.